Ok, so its not a problem most people have. But when you have horses (and have friends with horses) there’s no shortage of old, rusty, horse shoes. This small training shoe found its way into my ‘miscellaneous’ box and was just sitting there, staring at me, asking to be used for something. 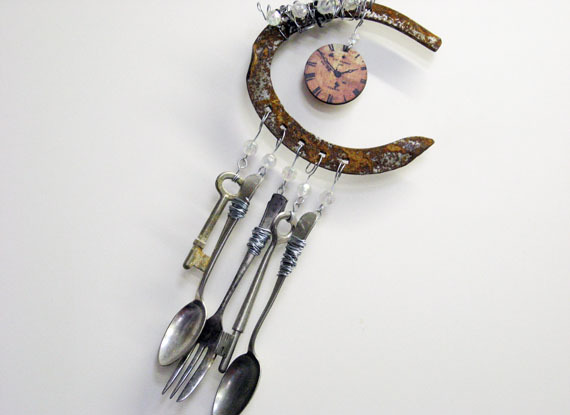 Last week I went into the little local cafe where I’ve been placing items to sell and found that all my suncatchers, chimes, dangles had sold! I had to make more. Since I make these things out of materials on hand, each one is different. I’ll post each of the last ones I made in separate posts to keep things simple. 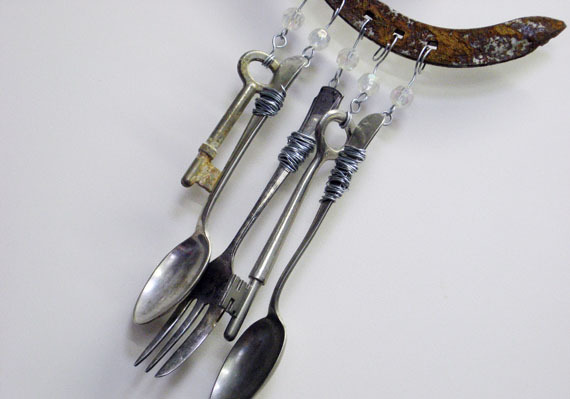 This particular one is made out of an old horse shoe (obviously), antique cutlery, old keys and aurora borealis beads. 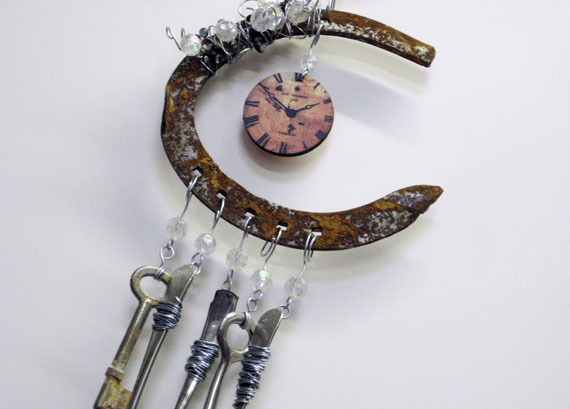 Plus an old clockface decoration. That was a last minute addition which just worked. I just love the colours of rust on the horse shoe. I know where I can get a ton of these. Might need to find more things to make with them. 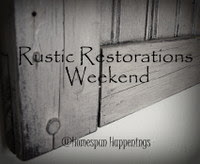 Linking up to Homespun Happenings’ Rustic Restoration Weekend. 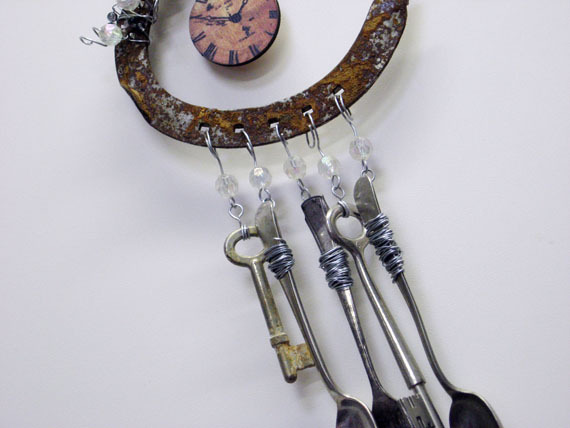 This entry was posted in DIY by zefiart. Bookmark the permalink. What a great idea! Thank you for sharing this at Rustic Restorations Weekend.